On the eve of historic elections, a conundrum lies at the heart of Indonesian politics. Successive governments have built one of the most important foundations of a successful democracy: free, fair, and peaceful elections. 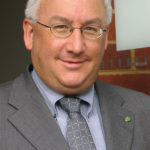 However, while its electoral procedures are robust, Indonesian democracy is increasingly defective in other areas, notes analyst Ben Bland, Director of the Lowy Institute’s Southeast Asia Project. 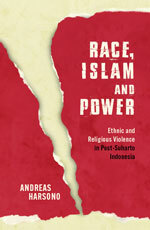 Political changes in post-Suharto Indonesia have triggered ethnic and religious violence across the country, says a book by Andreas Harsono, a veteran Indonesia researcher for Human Rights Watch, published today. The 280-page book, Race, Islam and Power: Ethnic and Religious Violence in Post-Suharto Indonesia, was published by Monash University Publishing a week before Indonesia’s general elections on April 17, 2019. Harsono spent five years travelling around Indonesia, from the westernmost island of Sabang to its easternmost city of Merauke in West Papua, from Miangas Island in the north, near the Philippines border, to Ndana Island, near the coast of Australia. Harsono’s journey took him to more than 90 locations, including 41 small towns and 11 remote islands. Many of those locations were the sites of either state or communal violence. 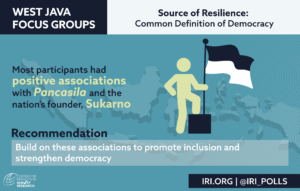 This tension between resilient elections and defective democracy partly reflects the political compromises of reformasi, which ended the Suharto regime and kick-started democratisation. The tension is embodied in Jokowi who won power because of competitive elections but has presided over a period of democratic backsliding, whether through neglect or intent.